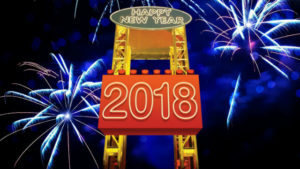 New Year’s Eve is less than a week away, but with all the entertainment choices that San Diego offers, it’s not too late to plan your celebration. 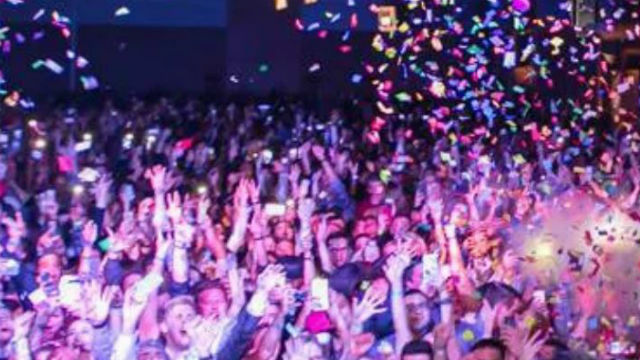 Big Night San Diego at the Hilton — What is possibly San Diego’s most extravagant New Year’s Eve party takes place at the Hilton San Diego Bayfront. The event boasts 10 party areas, eight dance floors, party bands, DJs, food, party favors and all drinks included. The party starts at 9 p.m. and goes until 2 a.m. It’s limited to 21 years and older and tickets cost $119 per person and up. Jazz at the Elegant Westgate Downtown — Enjoy a night of food, drinks and eclectic jazz at the very Parisian outpost in San Diego that is the Westgate Hotel. The night begins at 7 p.m. in the Versailles Ballroom and includes a five-course dinner, wine pairing and Champagne toasts to the music of the The Lorraine Castellanos Quartet. The cost is $219 per person. If you don’t want to drive, luxury guest rooms are available. Alternative Rock in Little Italy — The Casbah presents Little Hurricane, Redwoods Revue featuring Birdy Bardot, The Midnight Pine, Dani Bell and the Tarantist at the Music Box in Little Italy. Doors open at 8:30 p.m. and the show begins at 9:30 p.m. Tickets are $37 in advance and $42 on New Year’s Eve. 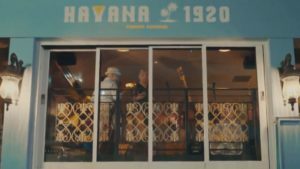 Prohibition Era Havana in the Gaslamp — Imagine it’s Prohibition and you’ve sailed to Havana to celebrate New Year’s Eve. 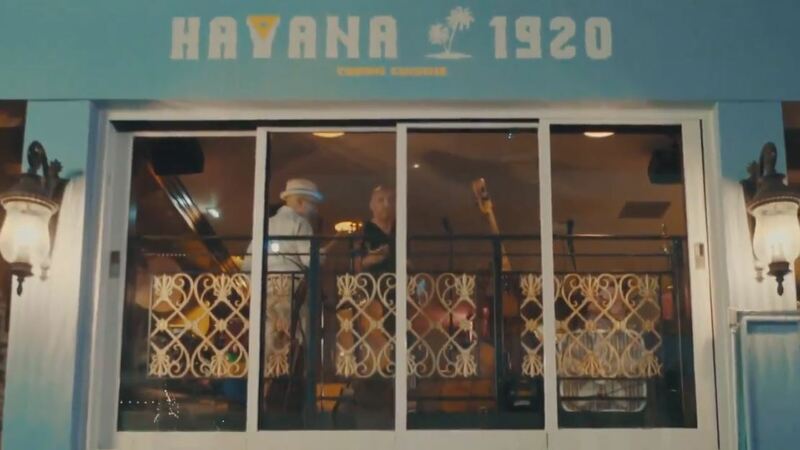 Havana 1920 in the Gaslamp is offering a four-course prix fixe dinner, Cuban cocktails and live Latin jazz. Reservations will be accepted from 5 p.m. to 10 p.m., and seatings are priced from $49.99 to $99 per person. Prohibition Era America in the Gaslamp — Can’t get to Havana in time? Enter the aptly-named New Orleans speakeasy Prohibition for a night of craft cocktails and live music beginning at 8 p.m. Grammy Award-winning artist Lenny “Fuzzy” Rankins and his six-piece band will entertain guests with their signature New Orleans sound throughout the evening. Tickets are $40. San Diego Craft Beer New Year — San Diego’s largest craft brewery is planning what it bills as the “ultimate New Year’s Eve party” in Liberty Station. The party at Stone Brewing from 8:30 p.m. to 1 a.m. includes three draft beers or house wines, a specialty glass of Cava, food stations, games, a cigar lounge and live music by Christian Taylor & The Rhythm Makers. General admission is $99 and $20 less for designated drivers. Cruise into The New Year on San Diego Bay — You can cruise beautiful San Diego Bay on a Hornblower yacht while sipping Champagne and toast 2018. The company is offering a series of cruises, from a sedate New Year’s Eve brunch to a Great Gatsby-themed cruise with bubbly flowing freely into the early morning. Prices range from $75.95 to $299 per person. 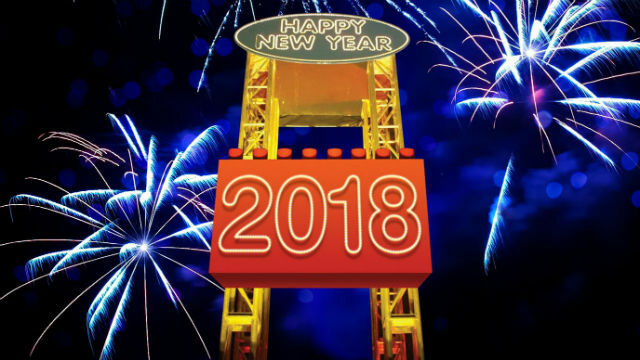 Celebrate with The Kids at Legoland — If you have kids — or are still one at heart — consider Legoland California‘s New Year’s Eve celebration. Midnight comes at 6 p.m. when a giant Lego brick will drop. Festivities conclude with fireworks. The event is included with general admission to the theme park. Take the Ferryboat to 2018 — Party from 9 p.m. to 1 a.m. on the upper deck of the historic steam ferryboat Berkeley at the Maritime Museum of San Diego. The party includes music from the 70s, 80s and 90s, a full bar, appetizers, a photo booth, dessert buffet, dancing, balloon drop at midnight, and champagne toast. Tickets, which are $60, also include party hats, noisemakers and beads to help ring in the New Year. Resolve to Get Back to Nature — Make it a family-friendly New Year’s Eve with wildlife encounters at the Living Coast Discovery Center in Chula Vista. The celebration from 7 p.m. to 9 p.m. includes two drinks, a hot chocolate bar, cookies and treats, a photo both, kids room, teen room and party room with live video from Times Square. You can also take nighttime trail walks to see the New Year’s Eve stars. Tickets are $25 per person.